EAW015811 ENGLAND (1948). 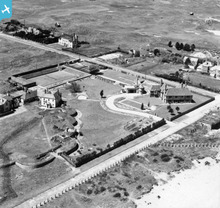 Kentlands, Sandwich Bay Estate, 1948. This image has been produced from a print. 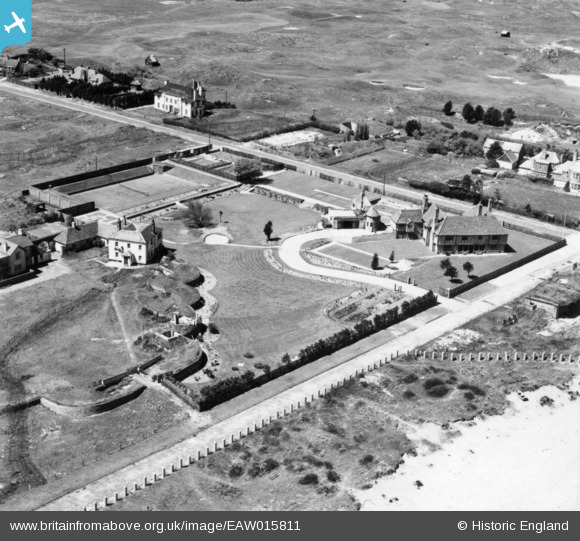 Title [EAW015811] Kentlands, Sandwich Bay Estate, 1948. This image has been produced from a print. Golfing Hut or WW2 Disguised Pillbox? is this a type 23 pillbox? Does this curvilinear structure incorporate remains of the eighteenth-century Sandwich Number 2 Battery?